Looking for an unique twist to a traditional pumpkin dessert? How about one with a creamy coconut twist. I usually associate pumpkins with autumnal spices such as cinnamon and nutmeg, recipes that comfort you on a cold winter day. So I didn’t expect to stumble upon them in tropical Southeast Asia. As it turns out, pumpkins are quite popular all year long in Bali, and I was fascinated to learn about how locals prepare this versatile gourd. 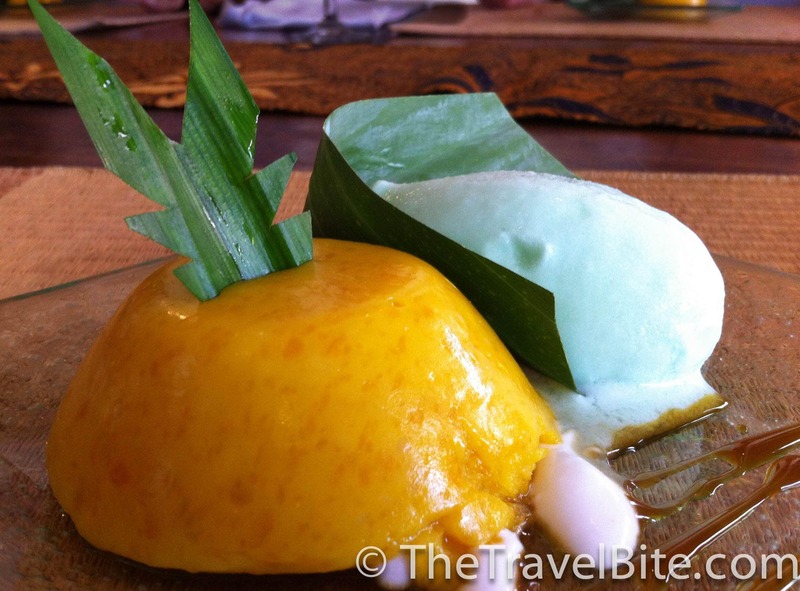 One of the first dishes I learned to make during a cooking class at the Four Seasons in Jimbaran Bay was a pumpkin and coconut dessert called kue labu. 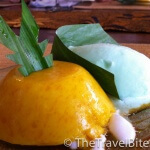 It’s a Balinese treat that’s easy to make, tastes creamy and sweet, and has the texture of a flan or custard. 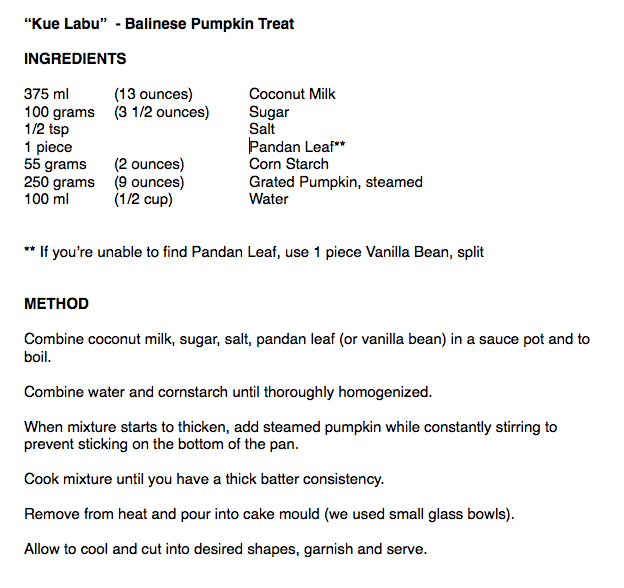 Follow the recipe below from Chef Ariana to make it at home for the holidays or for a sweet after dinner treat. This sounds really good, I can not wait to try it. Do any of the Asian markets in Orlando carry pandan leafs? I’m sure one of the markets down off of Mills/50 has them if they’re in season. If not, you can always use vanilla as a substitute. How do you make the coconut treat that is pictured next to the pumpkin dessert?